Geraldine Leydon is Professor of Medical Sociology & Healthcare Interaction within Medicine at the University of Southampton. Professor Leydon trained in sociology as applied to health at Lancaster University (BA), Goldsmiths College (MA), and London School of Hygiene and Tropical Medicine (PhD, Dip.PH). Considerable experience in leading qualitative programmes of work in a range of health service settings, with a particular focus on issues around lay-expert communication in health. Professor of Medical Sociology & Healthcare Interaction, Primary Care and Population Sciences, Faculty of Medicine, University of Southampton. Research Assistant, Academic Department of General Practice, and Population Science and Public Health, Charing Cross and Westminster Medical School. A great deal of Professor Leydon's work is interested in how health care professionals across a range of settings deliver health services and how patients receive that care. Talk really matters and communication is at the centre of all health care. Another group of researchers interested in Health Literacy links in with Professor Leydon's interests more broadly with communication patterns and its impact on outcome (e.g. satisfaction, adherence, acceptance/resistence, efficiency). Professor Leydon's training is in a sociological approach for understanding communication patterns known as Conversation Analysis, and in health services research methods more generally. A great deal of Professor Leydon's work has focussed on understanding the psycho-social needs, help seeking behaviour, self-management strategies of people affected by cancer and those at end of life. Dr Leydon is particularly interested in the communicative dilemmas that surround transparency about life expectancy/prognosis. More recently Professor Leydon worked with Professor George Lewith, Dr Caroline Eyles and Mr Sam Watts to test out the feasibility and acceptability of Mindfulness Based Stress Reduction for patients with cancer (including prostate and breast). Professor Leydon has led numerous work packages as part of broader programmes of work, most notably with Professor Paul Little and his programme of work on minor illness, and Professor Paul Roderick and his work on kidney disease. Professor Leydon is interested in using qualitative methods to understand complex interventions and to help fine tune health service innovations to enhance their integration in routine practice and enhance their effectiveness. Other broader health focussed interests relate to mental health and alcohol use, most notably collaborating with Professors Michael Moore, Paul Roderick and Tony Kendrick. Many patients in primary care are being prescribed antibiotics to treat mild infections such as colds, earaches and sore throats. Many of these are viral rather than bacterial infections that get better on their own and which can be treated with self-care (such as rest, fluids and mild pain killers). We are looking to investigate the usefulness of antibiotics in this age group, it follows a European wide trial that was very similar for adults. Children will be provided antibiotic or placebo and keep a symptom diary for up to 28 days. They can opt to provide a throat swab, a blood sample and have a chest x-ray. Patients are increasingly expected to manage their health outside of medical consultations. Acute chest infections are common and antibiotics are often prescribed despite them having limited impact on the symptoms. Finding a safe and effective way to control the symptoms associated with a chest infection, particularly cough, could help reduce antibiotic use. Patient-reported outcome measures for monitoring primary care patients with depression: PROMDEP randomised controlled trial. We want to look at whether giving personal feedback to people being treated for depression might help them get better more quickly. There is considerable concern about increasing antidepressant use in England. GPs are giving out more than 50 million prescriptions a year, to more than 1 in 10 adults. This study is exploring people’s experience of managing chronic kidney disease (CKD) - a common long-term condition affecting about a third of older people in the UK. Responsible for running research in health services research within Primary Care and Population Sciences. Member of Senate for PCPS. Co-founder/committee member of Research Education and Communication in Health (REACH), a group for information/knowledge sharing in the School of Primary Care and Population Sciences. Member of Senior Management Team. 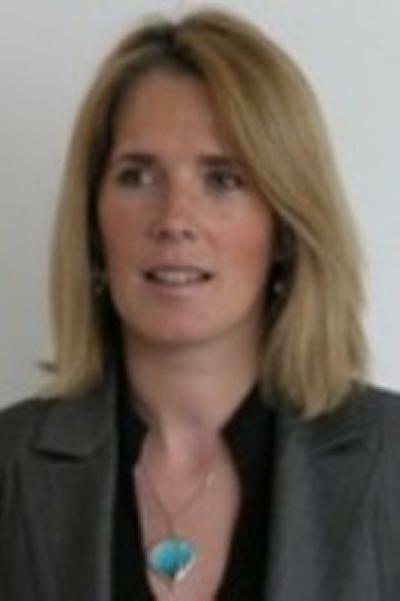 Member of Wessex Alcohol Research Collaborative (WARC) led by Dr Julia Sinclair. Organise and contribute to QualMED activities. Ad hoc journal reviews: BMJ, BJGP, Family Practice, SHI, SSM, EJCC, Psyho-oncology and so on. McDermott, L., Leydon, G. M., Halls, A., Kelly, J., Nagle, A., Little, P., & White, J. (Accepted/In press). A qualitative interview study of antibiotics and self-management strategies for respiratory infections in primary care. BMJ Open. Tonkin-Crine, S., Santer, M., Leydon, G., Murtagh, F., Farrington, K., Caskey, F., ... Roderick, P. (Accepted/In press). Managing advanced CKD in primary care: a qualitative study with GPs. British Journal of General Practice. Lasseter, G. M., McNulty, C. A. M., Hobbs, F. D. R., Mant, D., Little, P., Barnett, J., ... for the PRImary care Streptococcal Management (PRISM) Investigators Group (2011). Effect of swab type on the analytical sensitivity of five point-of-care tests for group A streptococci. British Journal of Biomedical Science, 68(2), 91-94. McDermott, C., Lynch, J., & Leydon, G. M. (2011). Patients' hopes and expectations of a specialist chronic fatigue/M.E. service: a qualitative study. Family Practice, 28(5), 572-8. Brant, C., & Leydon, G. M. (2009). The role of the health-care assistant in general practice. British Journal of Nursing, 18(15), 926-933. Leydon, G. M., & Raine, R. (2006). The need to act versus reluctance to act: a qualitative study of primary care antidepressant prescribing for patients with common somatic conditions of uncertain cause. Primary Care Mental Health, 4(2), 131-142. Hardyman, R., & Leydon, G. (2003). Media influence on suicide. Media influence behaviour. British Medical Journal, 326(7387), 498-498. Farmer, R. D. T., Lawrenson, R. A., Todd, J. C., Tyrer, F. C., Williams, T. J., MacRae, K. D., & Leydon, G. M. (2000). A comparison of the risks of venous thromboembolic disease in association with different combined oral contraceptives. British Journal of Clinical Pharmacology, 49(6), 580-590. Leydon, G. M., Boulton, M., Moynihan, C., Jones, A., Mossman, J., Boudioni, M., & McPherson, K. (2000). Faith, hope, and charity: an in-depth interview study of cancer patients' information needs and information-seeking behavior. Western Journal of Medicine, 173(1), 26-31. Freeman, G. K., Meakin, R. P., Lawrenson, R. A., Leydon, G. M., & Craig, G. (1999). Primary care units in A&E departments in North Thames in the 1990s: initial experience and future implications. British Journal of General Practice, 49(439), 107-110. Boudioni, M., Mossman, J., Jones, A. L., Leydon, G., & McPherson, K. (1998). Celebrity's death from cancer resulted in increased calls to CancerBACUP. British Medical Journal, 317(7164), 1016. Lawrenson, R., & Leydon, G. (1998). Primary care. Life after LIZ (London Initiative Zone). Health Service Journal, 108(5602), 28-29. Leydon, G. M., Lawrenson, R., Meakin, R., & Roberts, J. A. (1998). The cost of alternative models of care for primary care patients attending accident and emergency departments: a systematic review. Journal of Accident & Emergency Medicine, 15(2), 77-83. Sundaram, S., Roderick, P., Frater, A., Leydon, G., Sheron, N., Dimitrov, B. D., ... Harindra, V. (2013). Assessing feasibility and acceptability of a brief intervention for risky alcohol consumption in sexual health clinic attendees. Paper presented at BASHH Meeting, United Kingdom. Dewhirst, S., Leydon, G., Tucker, L. J., Roderick, P., Harindra, V., Dimitrov, B. D., ... Chatwin, J. (2013). Patient views from a feasibility study of a brief intervention to reduce alcohol consumption in a high risk group in a sexual health clinic. Paper presented at BASHH Meeting, United Kingdom. Thomas, T., Leydon, G., Little, P., Mullee, M., & Wingrove, Z. (2012). TASTE – Treatment Alternatives for Sore Throat in Every day practice. Poster session presented at PCRNSW North Hub Annual Primary Care Incentive Scheme Event, United Kingdom. Thomas, T., Leydon, G., Little, P., Mullee, M., & Wingrove, Z. (2010). TASTE – Treatment Alternatives for Sore Throat in Every day practice. Poster session presented at PCRNSW East Hub Annual Primary Care Incentive Scheme Event, United Kingdom. Addington-Hall, J., Gerard, K., Brien, S., Brailsford, S. C., Salisbury, C., Heaney, D., ... Lattimer, V. (2013). Variations in out of hours end of life care provision across primary care organisations in England and Scotland. Final Report. NIHR Service Delivery and Organisation Programme. London, GB: HMSO. Professor Leydon is open to enquiries from students wishing to embark on PhD study who are interested in communication. 4th Year Medical BMedSci research projects. Qualitative Research Methods – ad hoc lectures for Masters in Research (MRes), and for PCPS staff and students. Communication In oncology: hope and optimism, MSc in Holistic Care for oncologists – Institute of Cancer Research, annual lecture. This is a three hour session presented by Professor Leydon and Professor Peter Salmon – hosted by ICR. Supervised numerous MSc student dissertations and deliveried lectures in Advanced Qualitative Methods and Sociology of Health and Illness.